Hey all. 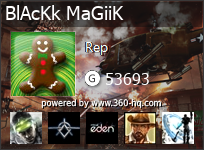 If you play COD4 or Halo 3 (or even WAW) Add me. I usually play around 12-2 am EST. I also own Halo Wars but I HATE it. Willing to learn to like it though. 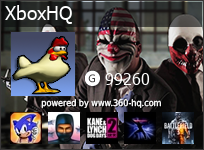 this way when people view games pages, achievmeents, cheats or screenshots & videos your topic will come up and you will have the chance to catch up with other active HQ'ers..
Ive gone ahead and edited your topic.. Go and search our games pages or something and you will see what i mean. Your topic will automcatically pop up. anyway, enjoy the site and good to see ya posting mate. 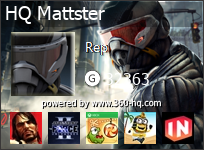 request sent, hit me up when im online for a game, got pgr4, halo 3 and a ton of other games! i aint played too much pgr4 but ill give it a shot neways! did many HQ members send friend requests mate?? Im sure you have a few people to play with no atleast.. .. 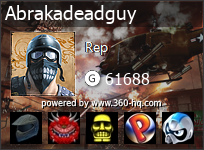 Enjoy the site..
u can add me. i play h3. 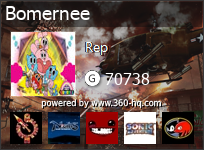 not wrong.. i always see you playing halo 3..
yeah add me I got my machine on a bit with various games including Halo3, COD4 and WAW, PGR4 and a few others.